September 19, 2017 May 30, 2018 jhgraham	Postwar	Tags: Malibu, old Los Angeles restaurants, Seacomber, Wilshire Blvd. If your postwar dream was to drive to the Malibu coast and dine and dance at a seaside restaurant, Frank Kerwin could make it come true. 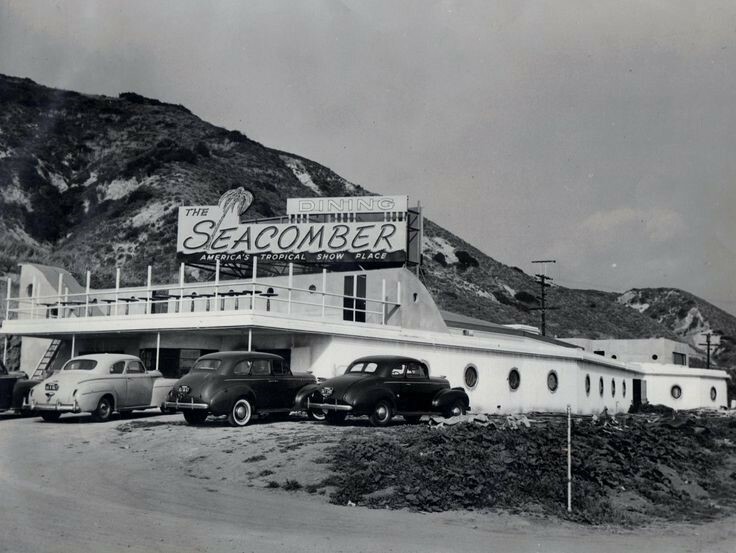 His restaurant, The Seacomber, “America’s Tropical Showplace,” opened at 22725 Pacific Coast Highway on April 4, 1946. “IT’S OUT OF THIS WORLD but right NEAR you! 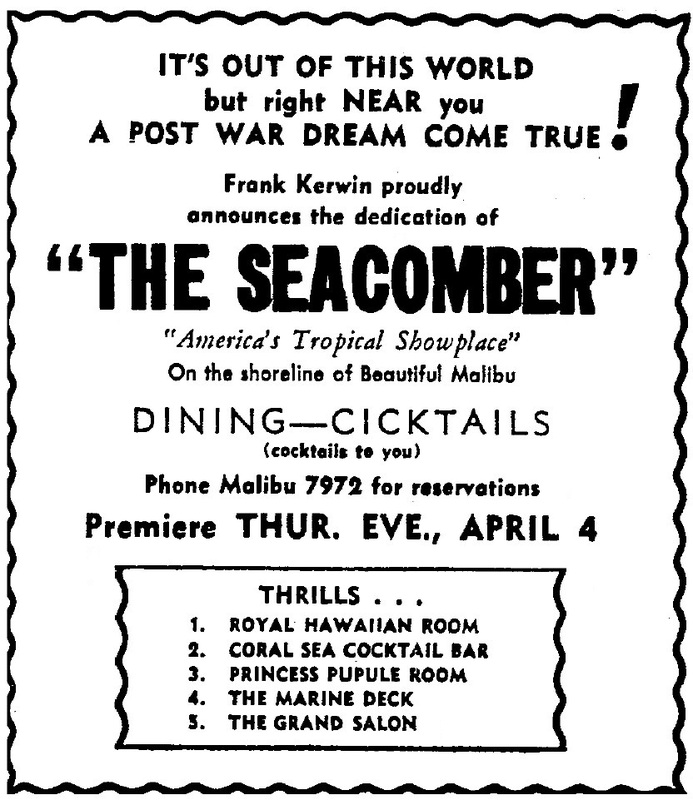 A Post War Dream Come True!” Frank Kerwin’s Malibu restaurant The Seacomber opened April 4, 1946. Featuring dining and “Cicktails” (cocktails to you and me) and thrills such as The Royal Hawaiian Room, the Coral Sea Cocktail Bar, the Princess Pupule Room, the Marine Deck and the Grand Salon. 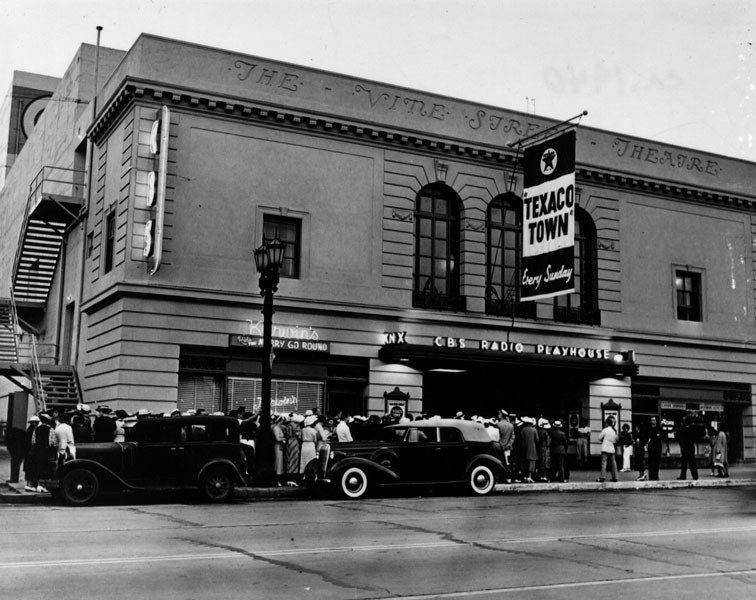 Kerwin, a former boxing announcer and sports promoter, had previously managed the Club New Yorker in the basement of the Hotel Christie on Hollywood Boulevard, and The Merry-Go-Round cocktail lounge in the CBS Radio Playhouse on Vine Street. 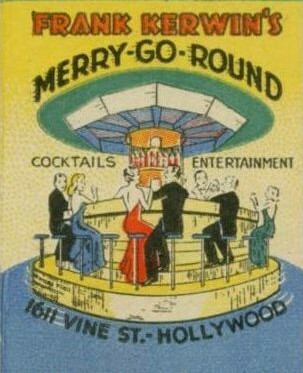 Kerwin’s Merry-Go-Round was at 1611 N. Vine in the CBS Radio Playhouse c. 1936-1940. 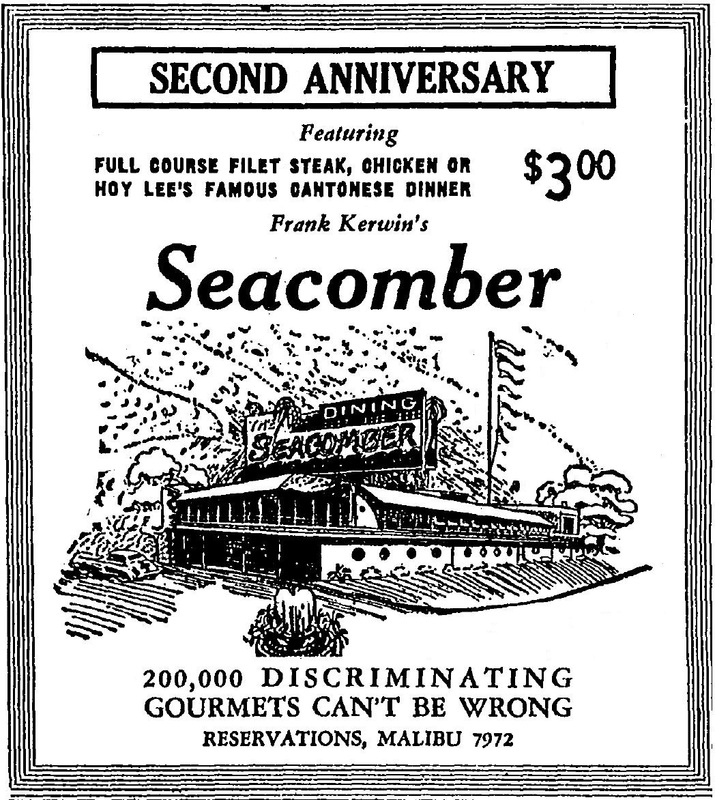 “200,000 Discriminating Gourmets Can’t Be Wrong.” The Seacomber celebrates its second anniversary, April 1948. 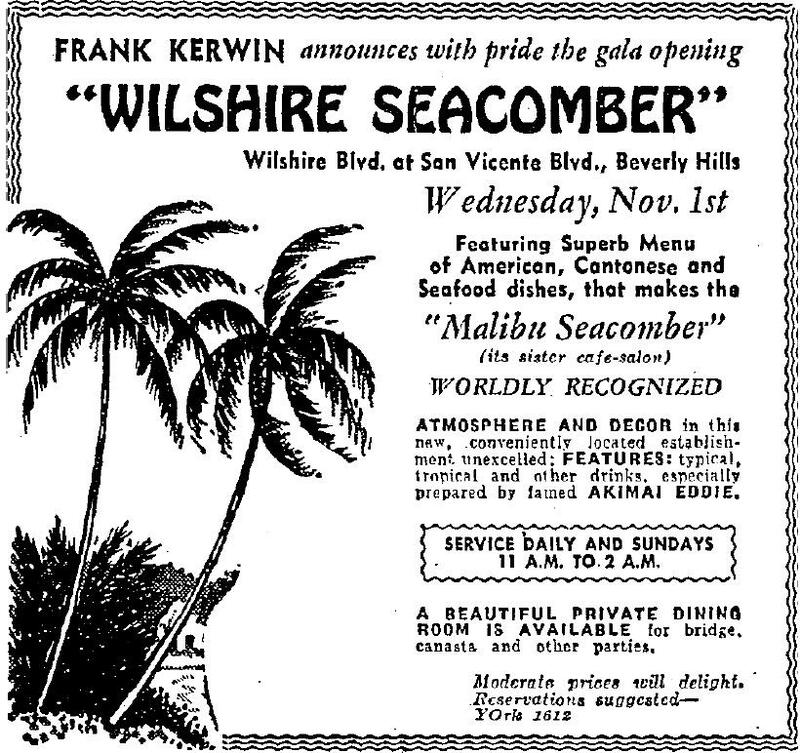 November 1, 1950, Frank Kerwin opened the Wilshire Seacomber at Wilshire and San Vicente.